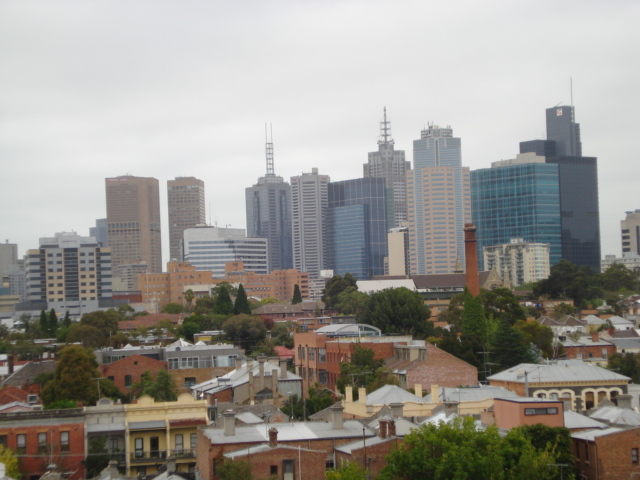 Welcome to Blogstead Downunder – the view from the balcony of Simon and Hannah’s apartment in Melbourne. We’re here for some R & R after our action-packed sailing trip round the Whitsunday Islands. More of all of that in due course – it included some dreadful weather and a serious medical emergency for one of the party – now thankfully making a good recovery. But we saw the beauty of the place and did the snorkelling so that we could see the beautiful fish over the coral and we were looked after by Reggie, Jacquie and the amazing crew. And in and out of it all, we got to know the remarkable group of people with whom one thrown together in these moments – a random group of 26 of whom only 5 were Irish!They became therapeutic community and friends – and through the internet will probably remain so!